It may seem like people would rather look at your website’s images and read a few excerpts here and there, but that is generally not the case. Think back to the last great book you read. It probably had a writing style that really drew you in, from catchy phrases to concise details. Your website content needs to accomplish the same goals in order to draw readers in, and keep them entertained; in turn, this will help them learn more about your company, and what you have to offer. You might feel like you need to write a lot to explain what your company is all about. Just as you probably dread the thought of typing out long sentences for each page, think about how a visitor to your site will feel when he or she tries to read through the content. It is almost guaranteed that visitors would quickly lose interest in the text, and may even stop coming to your site altogether. The goal is to create content that emphasizes quality rather than quantity. Bigger is not always better, especially when website content is involved. Content should be the most engaging part of your website, so it is time to figure out how you can make your content sparkle. Whether it is headings for video clips, paragraphs on your “about us” page, staff bios, or something else, you should create content that is concise and fresh. Catch phrases – or even single words – are useful, along with keeping the content brief. Many visitors want to see quality content, especially when they are researching a service or product. If your website content is riddled with typos and grammatical errors, it is likely that it will not be taken very seriously. Creating unique and fun visuals can catch the readers attention sure, but more importantly, content posts with images are 90-120% more likely to be clicked on than posts without images. If you scroll back through some of our previous blog posts, you’ll notice that we have an image attached to nearly all of them. You can take your own photos, or download stock images from istockphoto.com, shutterstock.com and similar services. Then using a service like canva.com or picmonkey.com, you can add effects and text to really make your photo standout. From books to research papers, everything is easier to read when the font is larger. For websites, having a larger font means less space to use when creating content. In other words, large font forces you to focus on precisely what you want to say. A large font is also more enticing to readers, as they feel like they can browse through the content much more quickly and efficiently. 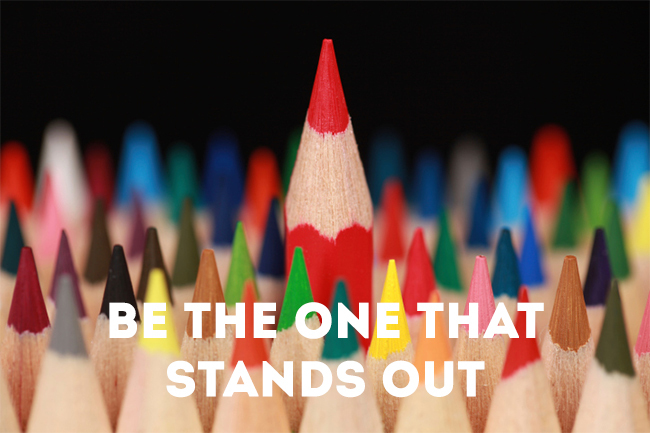 In order to come up with content that will really wow visitors, you need to consider who the majority of your audience really is. Then, with this target audience in mind, it becomes much easier to give your content a tone and purpose. Even certain words or phrases may be more easily understood by a specific audience, so go ahead and use those as well, if they apply. Large or even medium-sized paragraphs of text can seem daunting, particularly when there are several on a page. Instead of writing paragraphs, try just a sentence or a few sentences at a time to shake things up and keep readers engaged. Links and photos can help to brighten up a page. Just be sure not to make your page too busy, or you run the risk of discouraging readers. These are really simple ways to make your content stand out; ones you can start implementing today. Go look through your site and pick one page to improve the content on. You won’t be sorry.